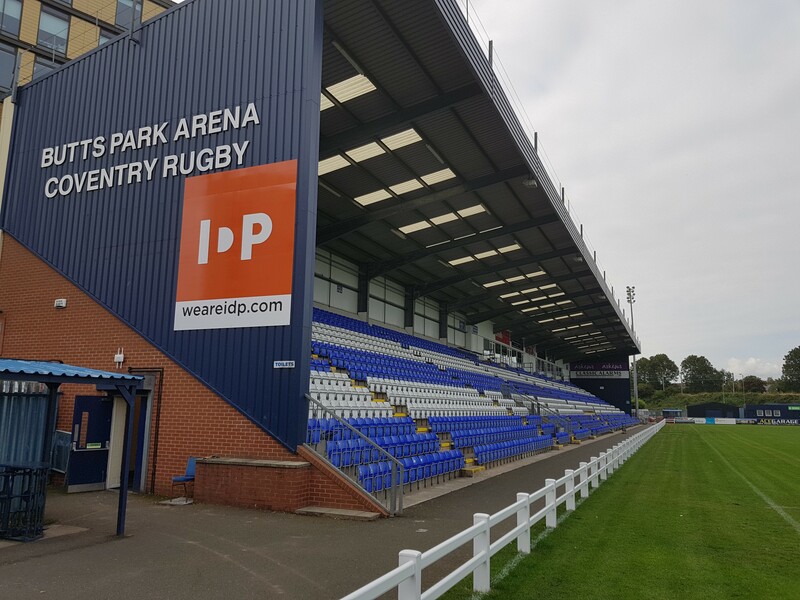 Cov claimed their sixth Greene King IPA Championship home win of the season thanks to a 24-17 success over Hartpury. Home centre Rob Knox scored the only try of a first half which the hosts ended with a slender seven-three advantage. Then, after Sam Graham’s converted score briefly put the visitors ahead, Scott Russell’s maiden Cov try and Junior Bulumakau’s fifth touchdown of the season clinched the spoils for the hosts before lock Alex Craig claimed a second five-pointer for Hartpury. This reversed the defeat inflicted on the Blue-and-Whites at the Gillman’s Ground in September. It leaves Cov in seventh place in the table with 34 points with eight rounds of league action remaining. Playing with the slight support of a swirling wind, Cov conceded early penalties before building a fluent counter-attack through Knox and the Bulumakau brothers that took play into Hartpury territory. And when Andy Bulumakau made headway from the ensuing scrum, good continuity eventually ended with Heath Stevens breaking a tackle to send Knox over for a try which Will Maisey converted. Hartpury scrum half Harry Cochrane then broke from inside his own half and was racing to the home line, only to be recalled by referee JP Doyle’s whistle and penalised for an earlier offence. The visitors’ first visit to the home 22, which took nearly 30 minutes to arrive, ended with them being penalised for not releasing in contact. But when a half-break from Ben Foley then took the men in red back into Blue-and-White territory, fly half Lloyd Evans put them on the board with a simple penalty after the hosts infringed on the ground. A turnover and Ben Adams’ huge reverse pass released Cov down the left, only for Hartpury to win a penalty on the ground in their own 22 after Andy Bulumakau cut threateningly inside. The visitors took play into the home 22 at the start of the second half and it twice required neat interplay from the home back three to repel the threat. David Halaifonua and Tom Kessell combined well to take play from one 22 to the other only for Cov to be penalised for obstruction as they built through the phases. Hartpury then put a penalty won on halfway deep into the home 22 where their forwards were narrowly denied a score from a lineout drive. However, from the resulting scrum a series of pick-and-drives ended with flanker Graham claiming a try which Evans improved. 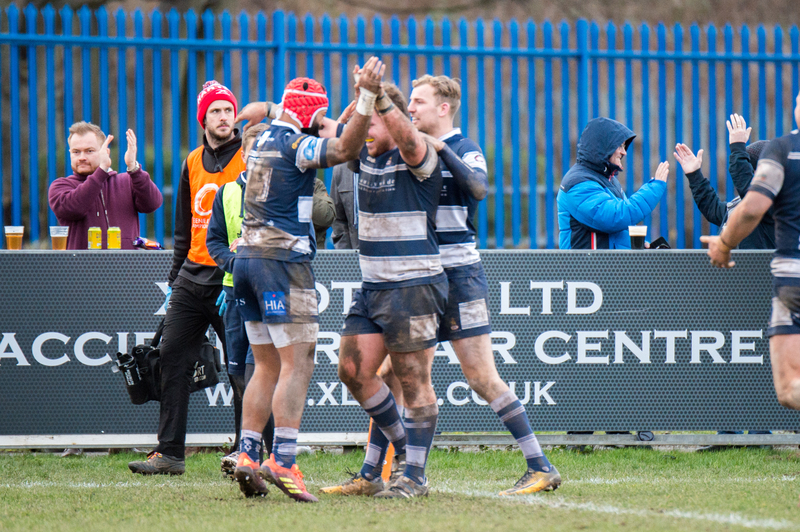 When Cov won a scrum penalty Maisey’s well-struck 35-metre kick brought the match back to 10-all, after which the visitors lost a good attacking position through an accidental offside at a five-metre lineout. Cov sent Halaifonua bursting 30 metres through midfield but were unable to claim possession from the resulting ruck in the visitors’ 22. However, when play came back for an earlier Hartpury infringement, Cov put the penalty to the corner then drove man-of-the-match Russell over for a score which Maisey upgraded. The hosts now had their tails up, and when they kept possession through a number of phases Scott Tolmie carried hard before Maisey found space to send Junior Bulumakau to the corner for a try which Cov’s No.10 also converted. The visitors had the last word through Craig, who applied the finishing touch to a series of forward thrusts, after which Evans’ conversion clinched them a losing bonus point. Halaifonua; J Bulumakau, Knox, Stevens (Lewis 50), A Bulumakau; Maisey, Kessell (White 57); Gibbons (Beech 65), Tolmie (Nilsen 78), Boulton (Brighouse 78); Russell, Oram; Faleafa (Jubb 40), Nutley (Makaafi 63), Adams. Protheroe; Henry, Powell (Chapman 75), Forrester (Chapman 12-22) (Leeming 40), Foley; Evans, Cochrane; Murphy (Merrey 75), Tanner (Stratford 80), Armstrong (Morris 75); Craig, Quinn (Ehizode 59); Graham, Qera (Gilbert 64), Grieve. Posted in Match Reports, News and tagged Coventry Rugby, greene king ipa championship, Hartpury RFC.